I have to share a magical, hair care elixir that I've recently incorporated into my blow dry regime: Carol's Daughter Monoi Oil Sacred Strengthening Serum. 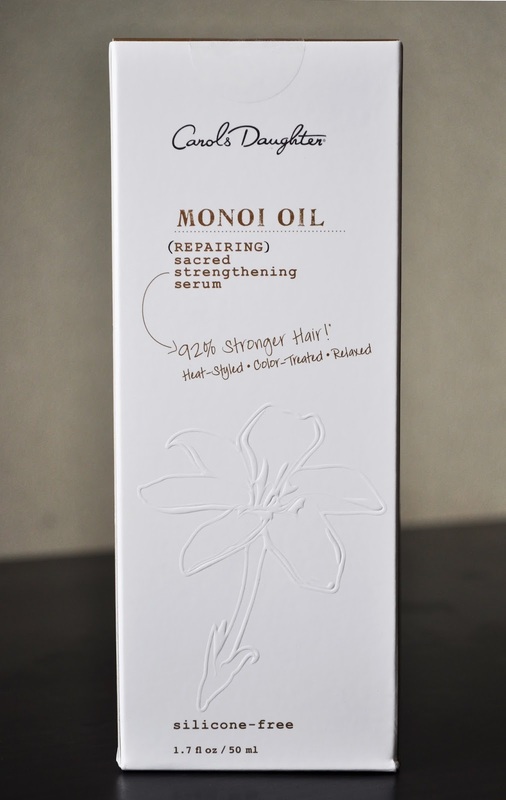 Thankfully, the Monoi Oil Sacred Strengthening Serum has a pump. But, one thing to be aware of is, it comes in a glass bottle. Fortunately for me, I was sitting on the floor while I was opening the box, because the bottle slipped out of the corrugated cardboard liner and rolled onto the floor; Just be careful when handling and where you store it. 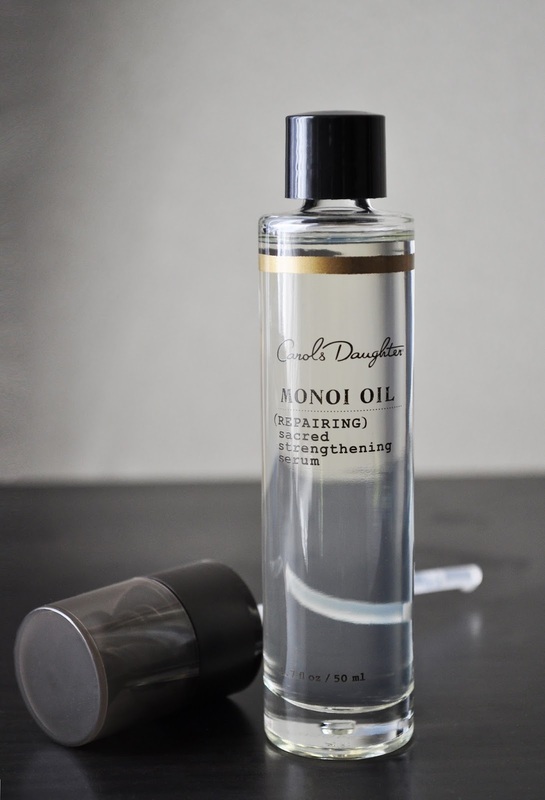 Carol's Daughter Monoi Oil Sacred Strengthening Serum is a lightweight oil that claims to protect, strengthen, rebuild hair from all forms of damage, while also reducing frizz and boosting hair's natural Shine. Also, the serum contains no silicone, parabens, petroleum, mineral oil or artificial colors. I frequently change my hair color, and I heat style it a lot, and I must say the Monoi Oil Serum is living up to all of its claims. Occasionally, before blow drying, I'll add half a pump of the Monoi Oil to my mixture of Pureology's Siper Smooth Smoothing Cream and Super Smooth Relaxing Serum. But, I primarily use it as a finishing polish on the mid-lengths and ends of my dried hair; I find that my hair is more manageable, doesn't get tangled throughout the day, and my ends are frizz free. Also, my hair seems stronger and, even with all the coloring, my hair doesn't lack shine, but it's shiner...Triple bonus! 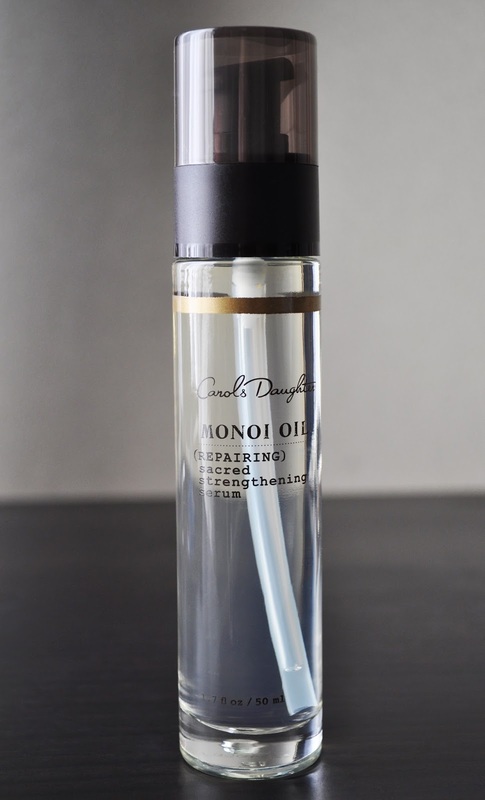 Carol's Daughter Monoi Oil Sacred Strengthening Serum contains 1.7 fl oz/50ml and retails for $30.